Simple and complex carbohydrates are the two forms of carbohydrates which are consumed by animals. Carbohydrates are also called starch or sugars. Carbohydrate is a biological molecule composed of carbon (C), hydrogen (H) and oxygen (O) atoms, with a hydrogen to oxygen atom ratio of 2:1. The main difference between simple and complex carbohydrates is that simple carbohydrates are quickly digested and absorbed by the body whereas complex carbohydrates take time to be digested. An adult man should consume less than 70 g of sugars per day and an adult woman should consume less than 50 g of sugars per day. Simple carbohydrates are carbohydrates that contain single monosaccharide units. They are found in natural food sources such as milk, fruit, and vegetables. Simple sugars give food a sweet taste. The blood glucose levels are elevated by simple sugars since they are easy to digest and are readily absorbed. 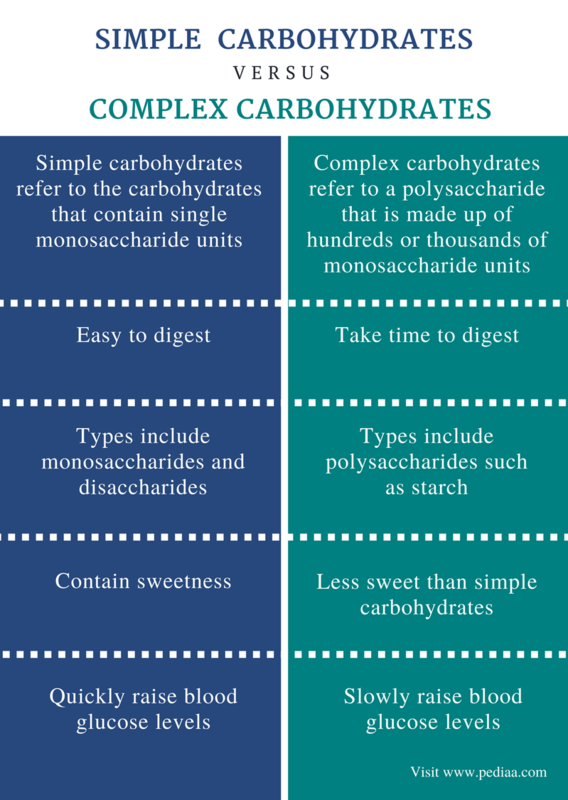 Monosaccharides and disaccharides are two types of simple carbohydrates. Monosaccharides include glucose, galactose, and fructose. Glucose is a simple sugar that circulates in the bloodstream of animals. Glucose is produced by plants during photosynthesis. Galactose occurs in milk in the form of lactose. Galactose is less sweet than glucose and fructose. Fructose is fruit sugar and mainly occurs in plants. A glucose molecule is shown in figure 2. Disaccharides include sucrose, lactose, and maltose. A sucrose molecule is made up of glucose and fructose molecules. Sucrose is the organic compound which is transported by the phloem. 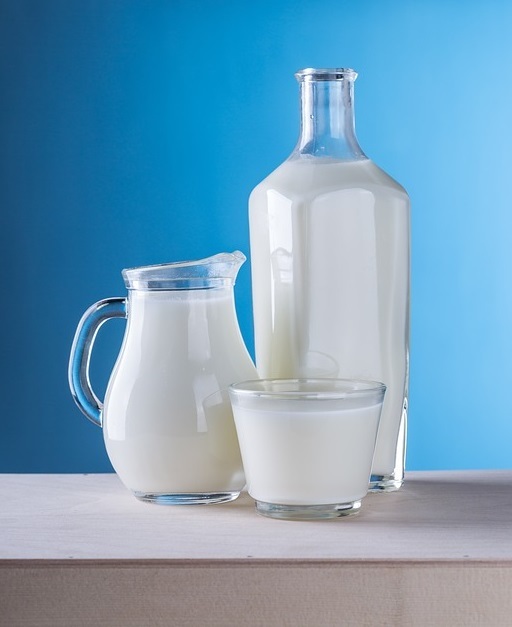 Lactose is made up of a glucose and a galactose molecule. 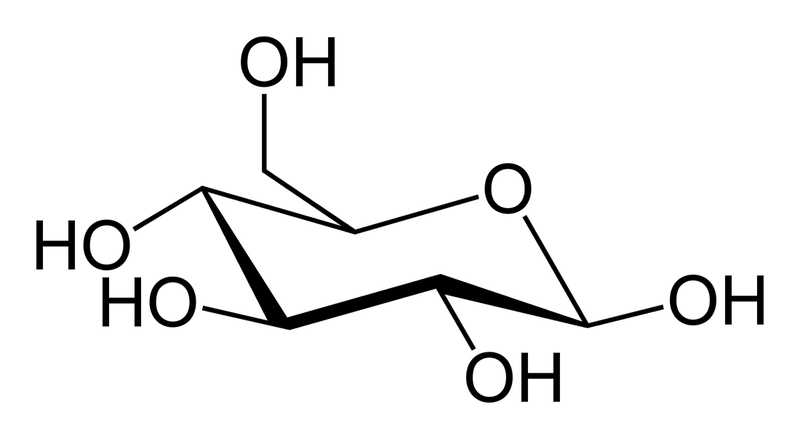 Maltose is made up of two glucose molecules. It is produced in the breakdown of starch by amylase. Complex carbohydrates are polysaccharides which are made up of hundreds or thousands of monosaccharide units. They are also called polysaccharides. Complex carbohydrates are more slowly digested and take time to absorb to the body. Green vegetables, starchy vegetables such as potatoes and corn, peas, lentils, beans, whole grain and food produced by the whole grain are composed of complex carbohydrates. Some sources of complex carbohydrates are shown in figure 3. 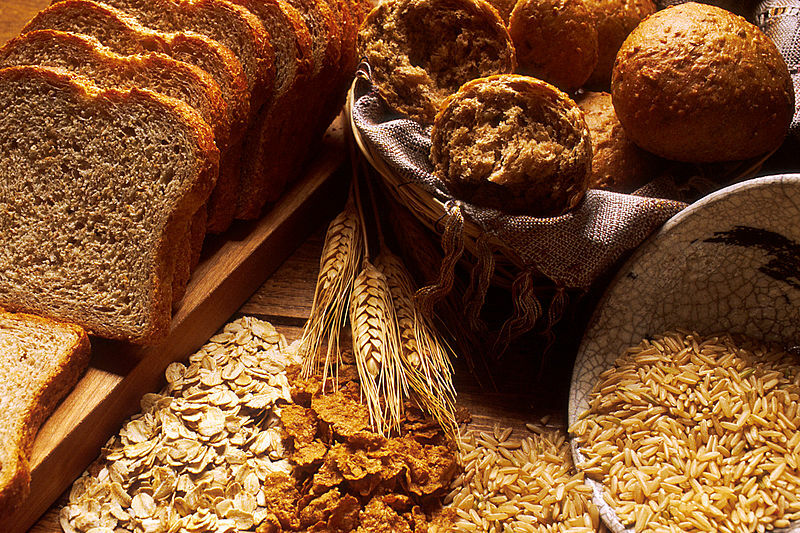 Usually, the whole grain food raises blood sugar levels more slowly than simple carbohydrates. However, higher levels of polysaccharides may increase the blood glucose levels considerably. Both simple and complex carbohydrates are two forms of carbohydrates. Both simple and complex carbohydrates are composed of carbon (C), hydrogen (H) and oxygen (O) atoms. The ratio of hydrogen to oxygen atom is 2:1 in both simple and complex carbohydrates. Simple Carbohydrates: Simple carbohydrates refer to the carbohydrates that contain single monosaccharide units. Complex Carbohydrates: Complex carbohydrates refer to a polysaccharide that is made up of hundreds or thousands of monosaccharide units. Simple Carbohydrates: Simple carbohydrates are easy to digest. Complex Carbohydrates: Complex carbohydrates take time to digest. Simple Carbohydrates: Monosaccharides and disaccharides are types of simple carbohydrates. Complex Carbohydrates: Polysaccharides such as starch are complex carbohydrates. Simple Carbohydrates: Simple carbohydrates contain sweetness. Complex Carbohydrates: Complex carbohydrates are less sweet than simple carbohydrates. Simple Carbohydrates: Simple carbohydrates quickly raise blood glucose levels. Complex Carbohydrates: Complex carbohydrates slowly raise blood glucose levels. Simple and complex carbohydrates are the two forms of carbohydrates consumable by animals. Simple carbohydrates are monosaccharides and disaccharides. Complex carbohydrates are polysaccharides such as starch. Simple carbohydrates are easily digestible and absorbable by the body. But, complex carbohydrates take time for digestion. Therefore, the main difference between simple and complex carbohydrates is their complexity. 1. “What Are Healthy Simple Carbohydrates?” Healthy Eating | SF Gate, Available here. 2. Hultin, Ginger. “A Complete Guide to Complex Carbohydrates.” LIVESTRONG.COM, Leaf Group, 3 Oct. 2017, Available here.